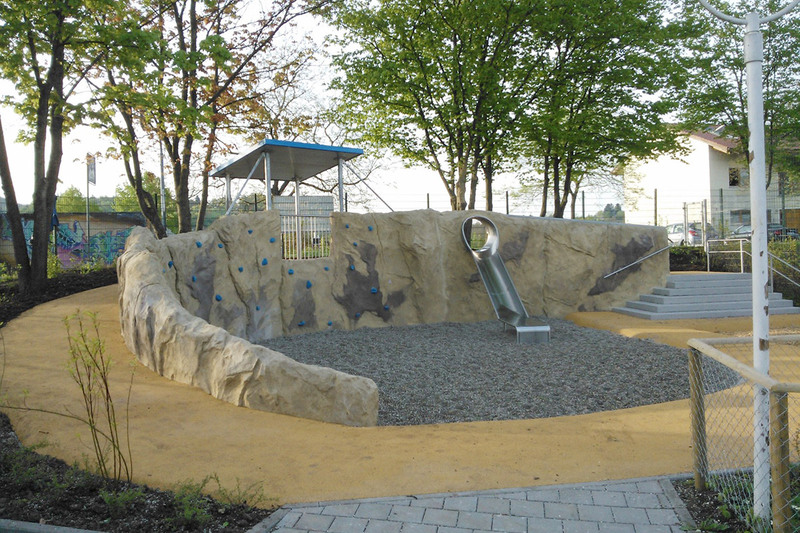 Thanks to almost unlimited possibilities in terms of design vocabulary and stability we are able to create creative and unmistakable elements. 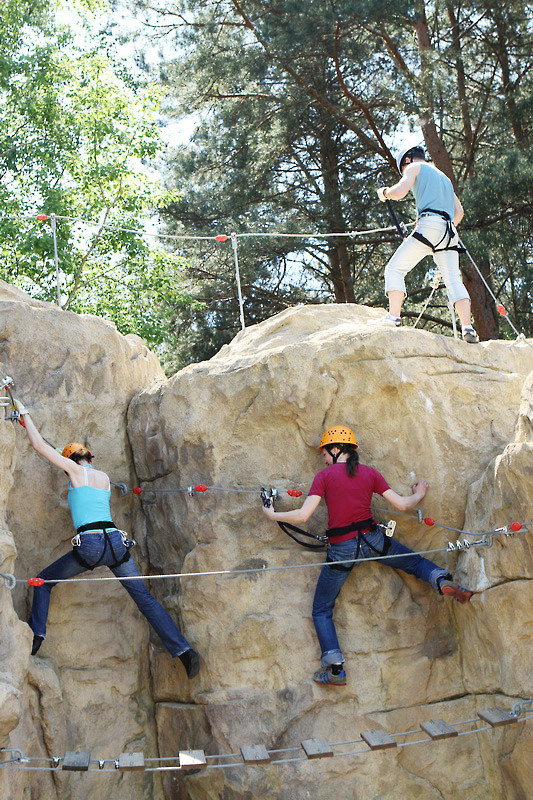 Our proven expertise when it comes to safety criteria for any possible scenarios is the result of over more than 15 years of experience through many unique projects but is also owed to our membership in several safety standards committees and our close cooperation with accredited test centers. 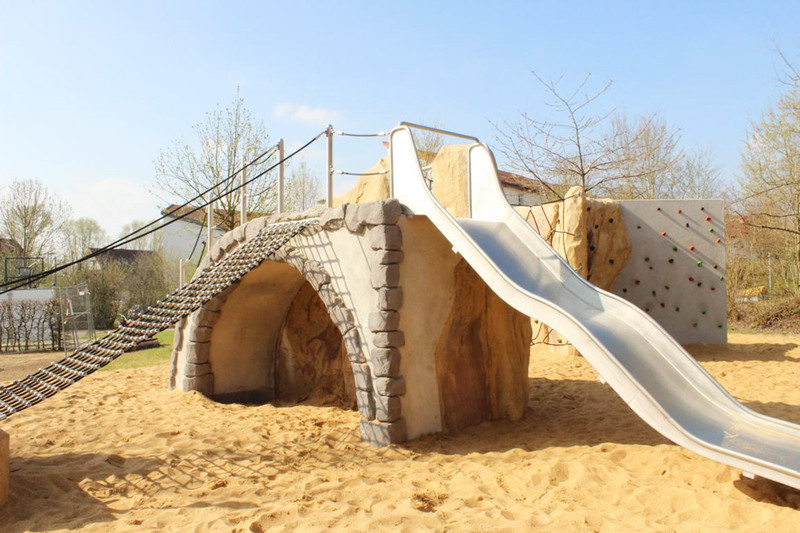 Other focal points, when it comes to our designs, are optimum usability, esthetics, durability and low maintenance costs. 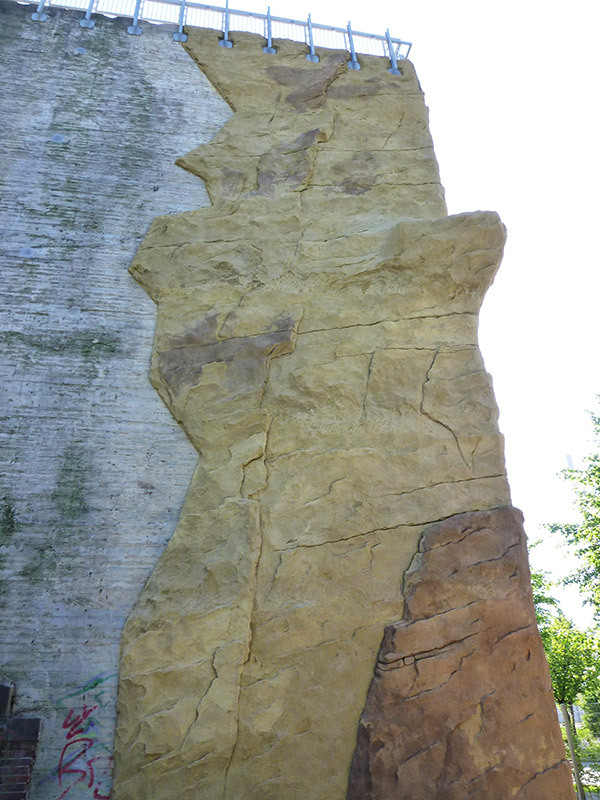 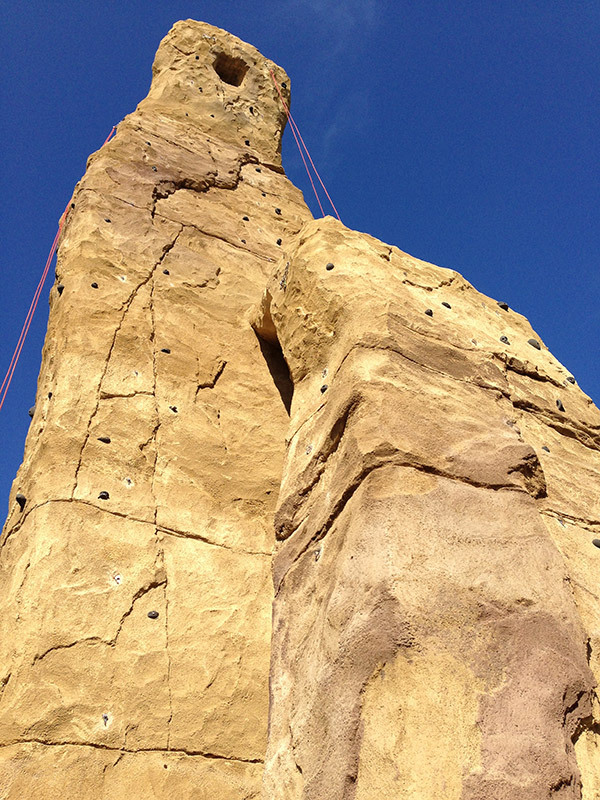 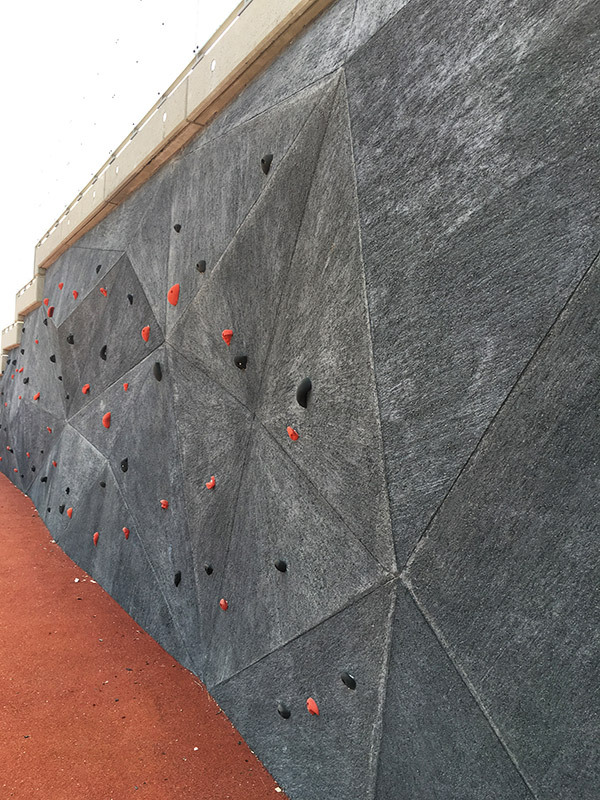 ROX climbing systems made of colored shotcrete are individually designed by artists with many years of professional experience. 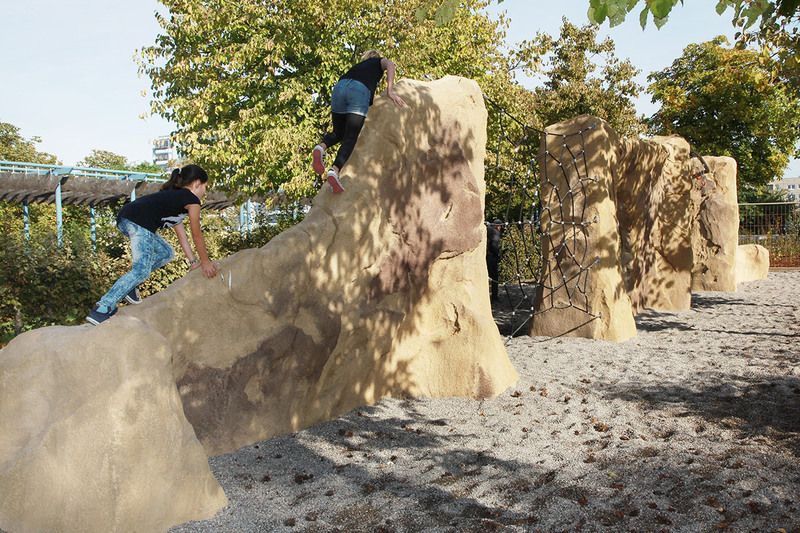 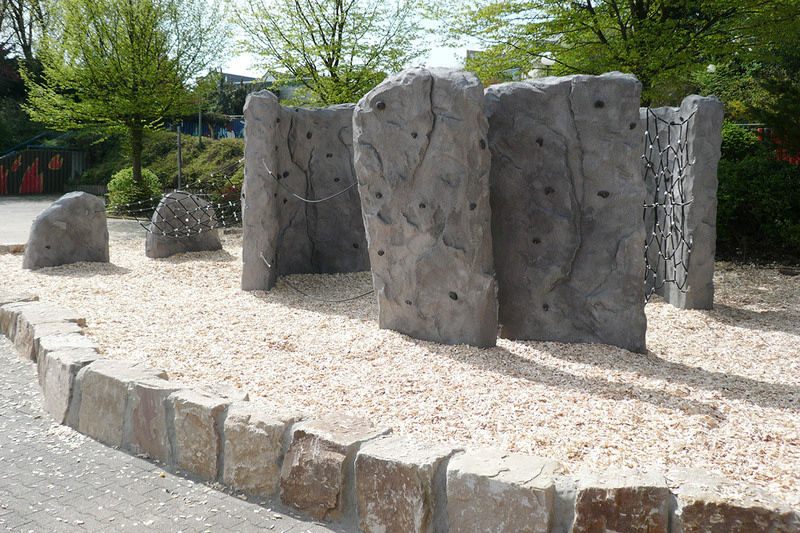 We offer a large variety of designs, from free-standing installations to designs integrated into the terrain such as backfilled walls, boulders and abstract, colorful surfaces. 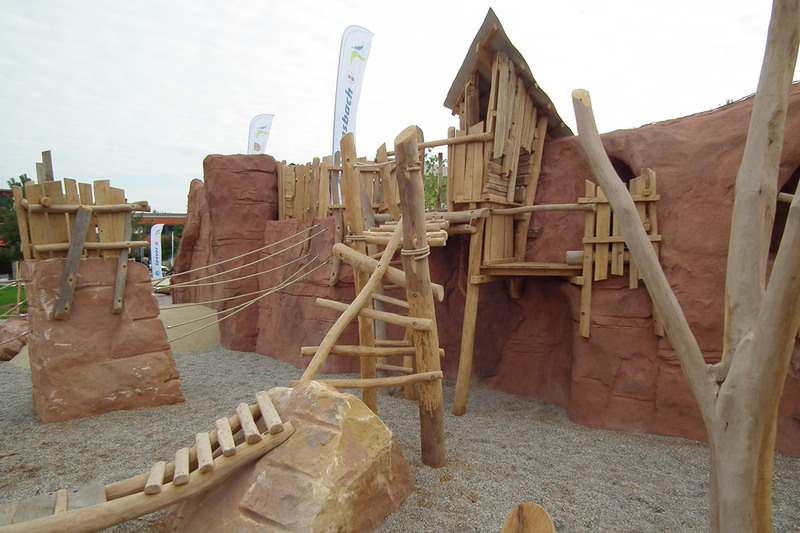 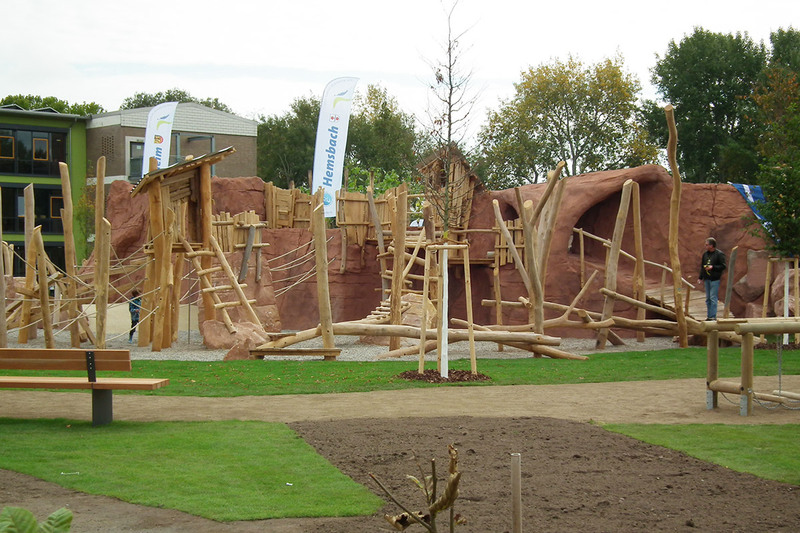 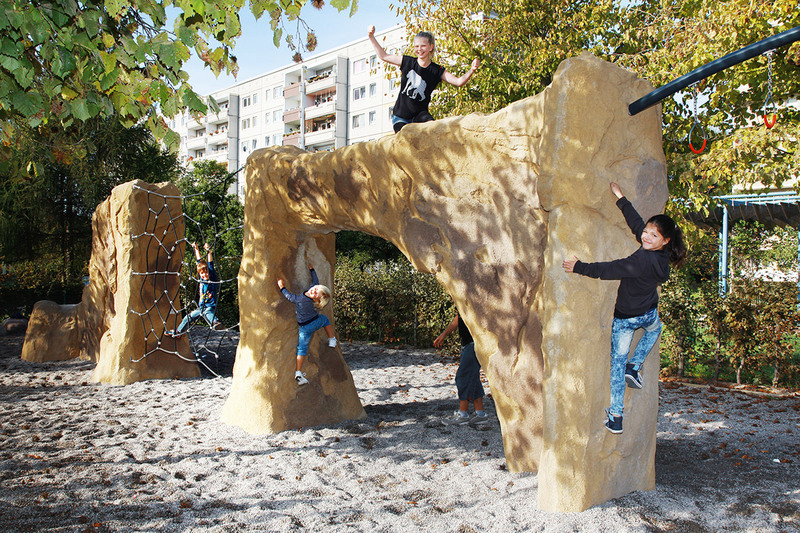 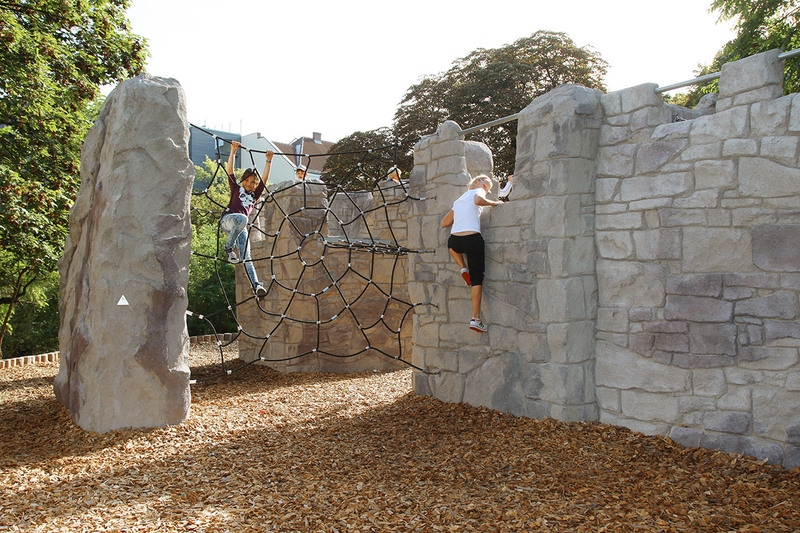 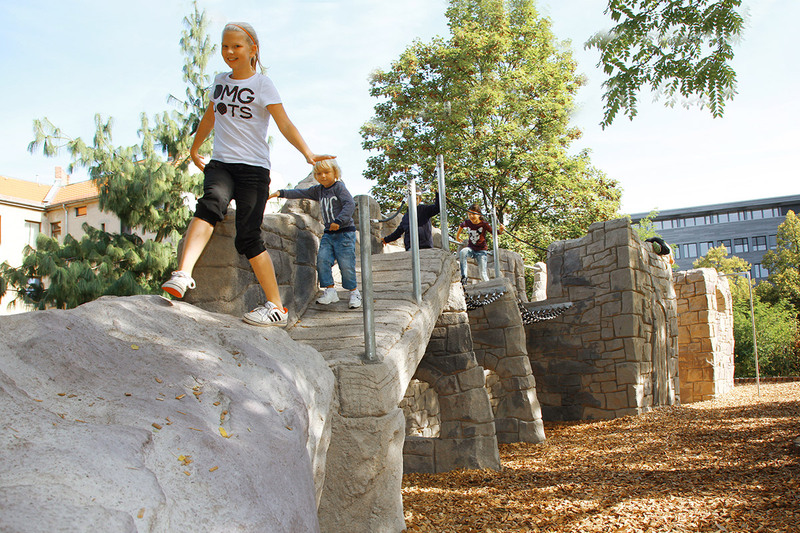 We create beautifully designed playgrounds with ropes, nets, slides, tree houses etc. 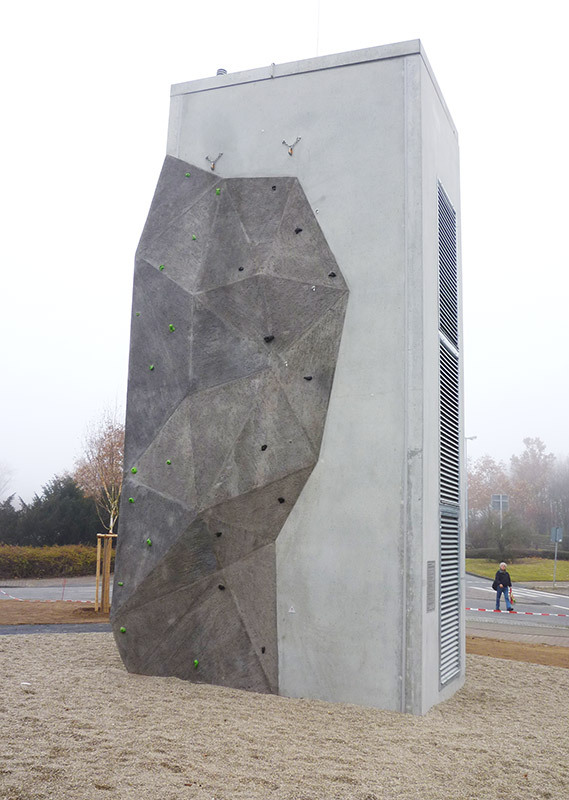 Climbing installations by X-MOVE meet all safety requirements for public spaces with a maximum climbing height of three meters. 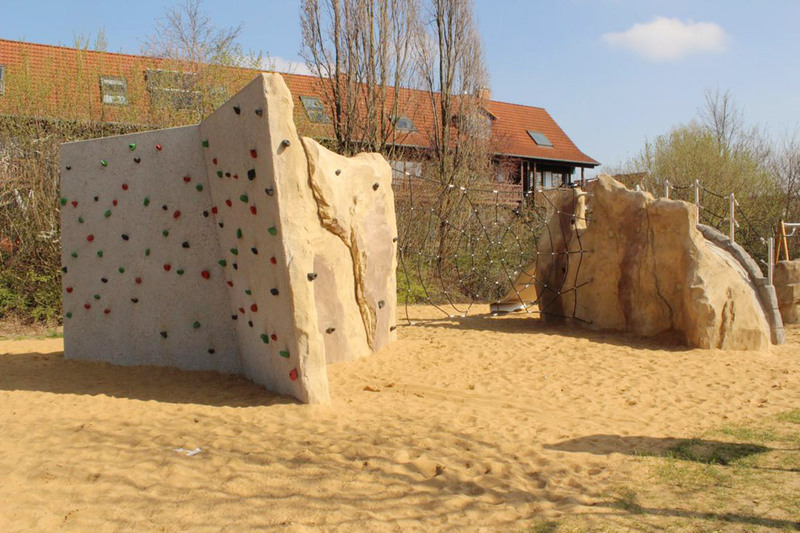 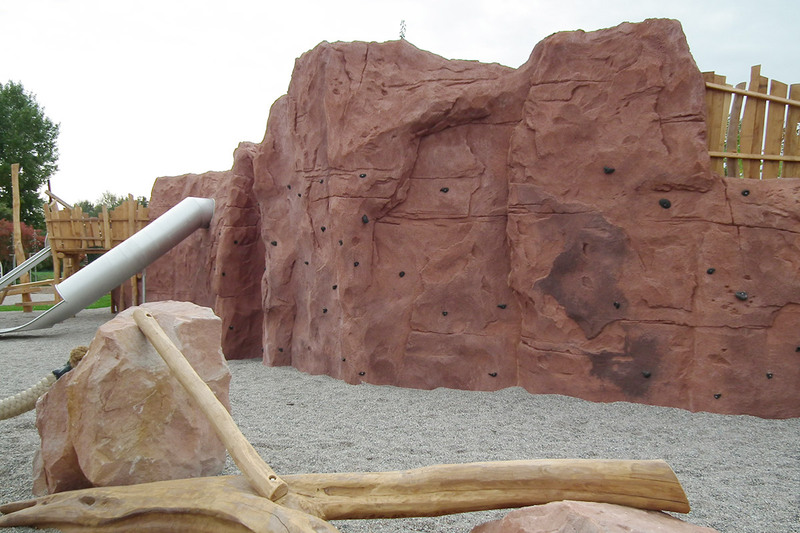 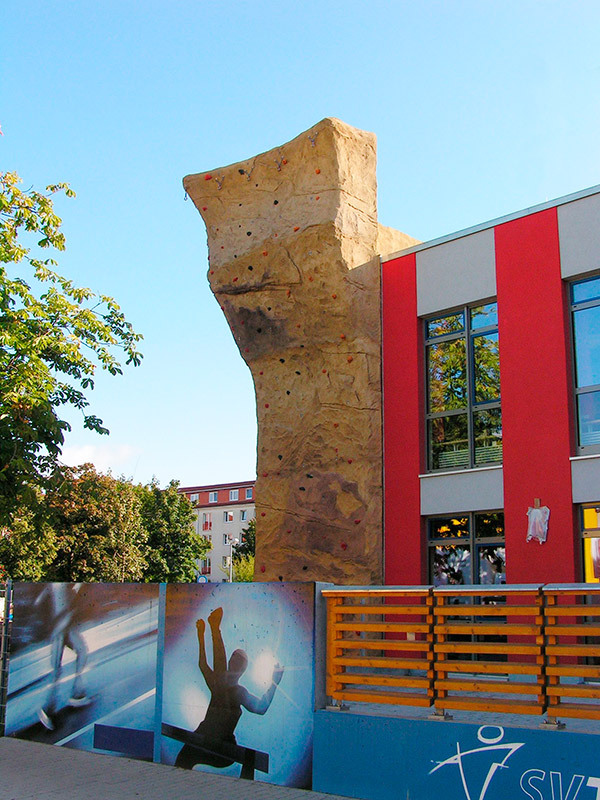 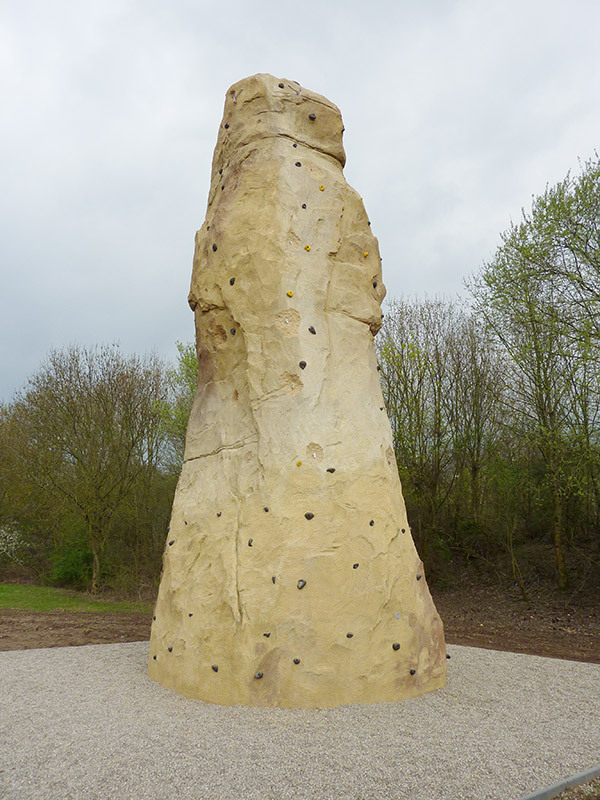 Sports climbing facilities offered by X-MOVE include both naturalist rock structures as well as abstract, colorful spaces. 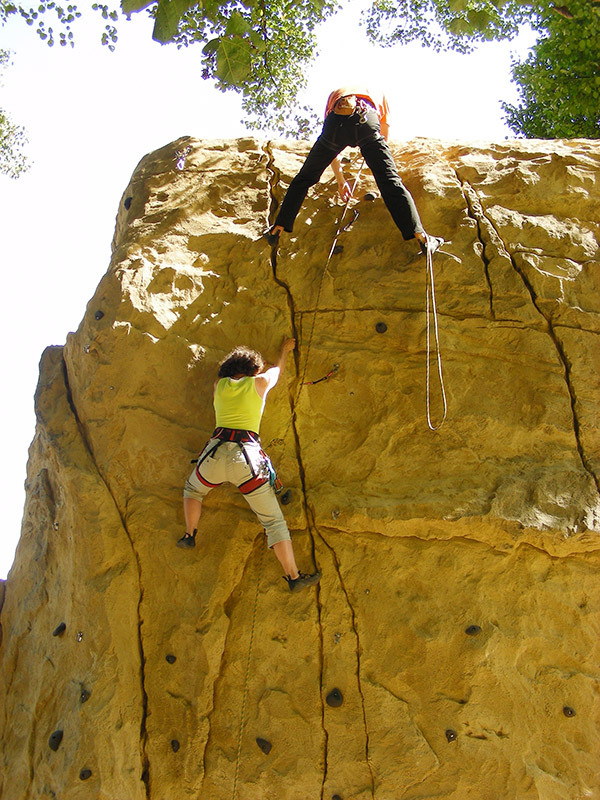 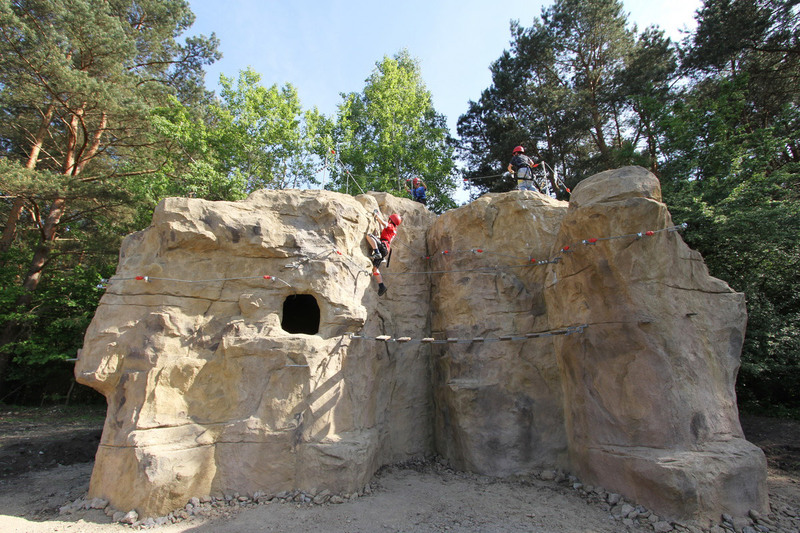 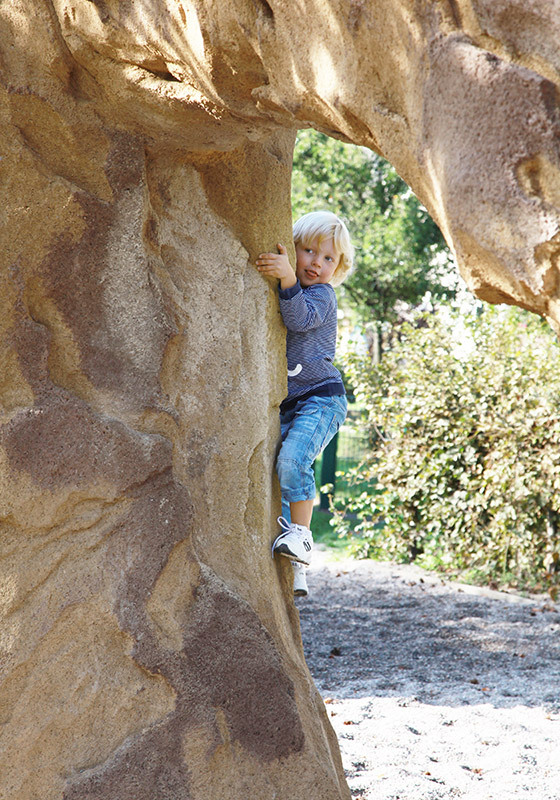 Climbing on natural rock/boulders is quite different from climbing with the help of artificial climbing holds. 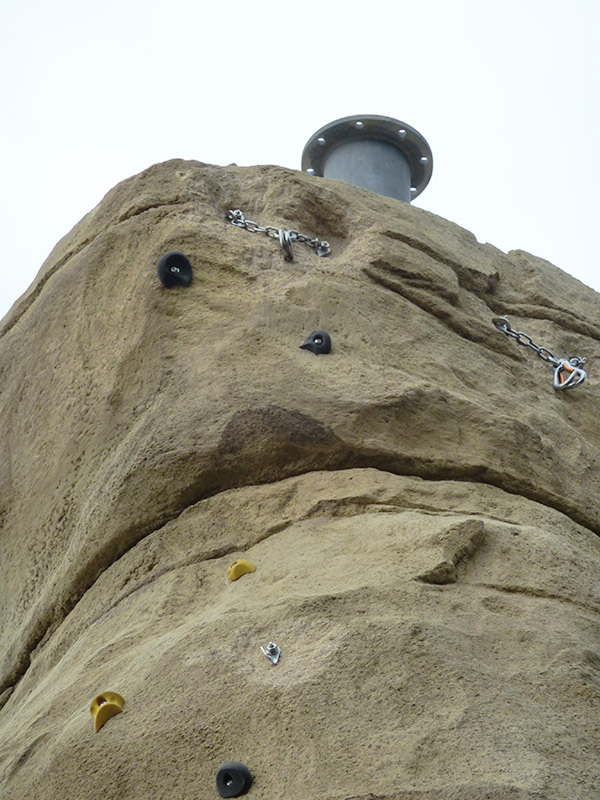 When climbing with holds, climbers can use these as reference points. 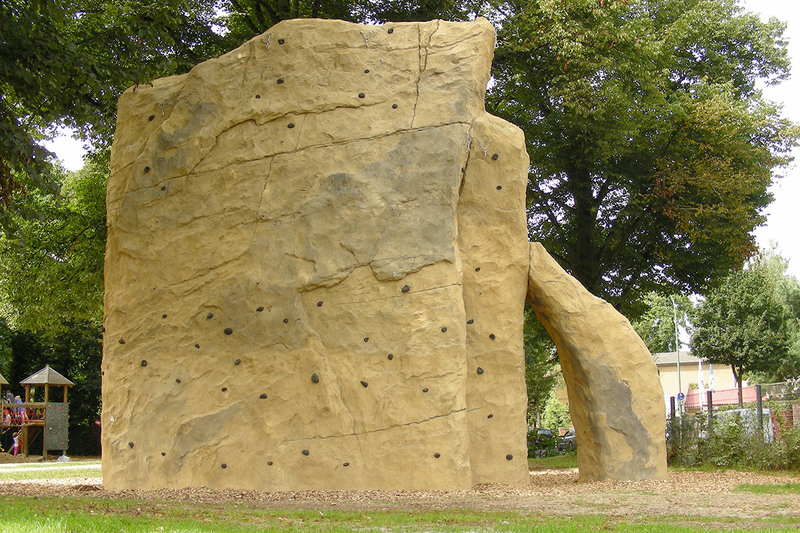 In comparison, on a natural rock, the climbers have to be especially creative and solution-oriented. 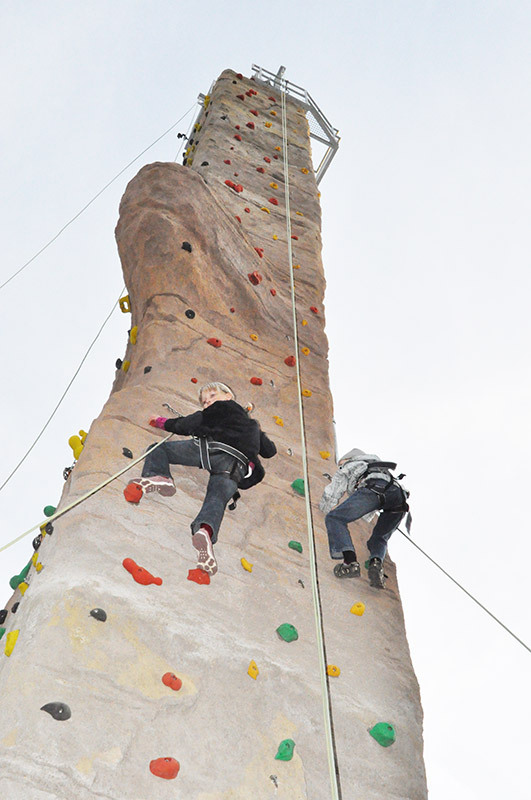 They have to “scan” the wall in advance and find a way up.